ONLINE, and biodata through http://www.admissions.ui.edu.ng on or before 7 July, 2013. Candidates who made UI their First Choice Most Preferred Institution in the 2013/2014 UTME and scored 200 and above, with awaiting results can also participate in the 2013/2014 Admissions Exercise by indicating their “Awaiting Result” status appropriately ONLINE. Candidates with awaiting results must upload their result immediately they are released. Note that any ‘O’ level results released after 31st of August, 2013, will not be considered for the 2013/2014 academic session admission exercise. The teller should have full names of the candidate (SURNAME first) as in the UTME result slip preceded by the JAMB Registration number, as the payee. submit their biodata and O’level results. 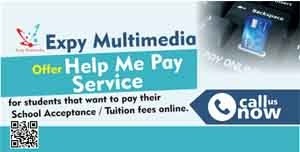 (vi) An on-line help desk platform on http:// www.admissions.ui.edu.ng/helpdesk will be available to handle all genuine enquiries. the comprehensive details of both results are submitted. 2. The deadline for submission of biodata / ‘O’ level results may not be extended. Any candidate whose data are not submitted within the stipulated time may not be considered for admission. 3. Misrepresentation/falsification of documents is a serious offence. Candidates are therefore advised to submit genuine documents only. Anyone found guilty of this offence will be disqualified automatically and may be handed over to the Law Enforcement Agents. 4. Candidates are strongly advised to adhere strictly to the guidelines stipulated above for successful completion of the on-line submissions. ** ALL candidates seeking admission in the University of Ibadan for the 2013/2014 academic session MUST be sixteen (16) years old or above by 1st October, 2013. 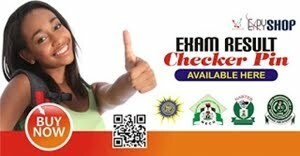 ** ONLY candidates who scored 200 and above in the 2013/2014 UTME, duly applied for the Post-UTME screening and logged on their data on the University admission portal will be invited for the Post-UTME screening exercise.